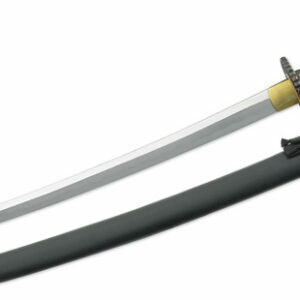 The Practical Plus Katana from Hanwei provides a very economical cutting sword as dependable as the Practical Katana (SH1070), but using more traditional fittings and construction methods. 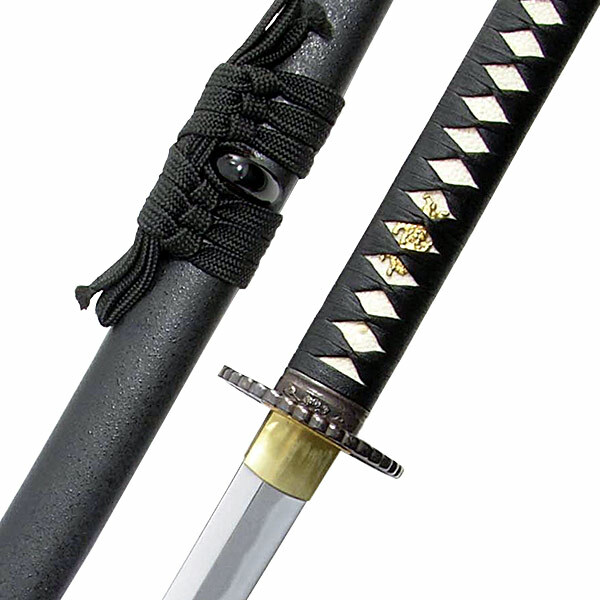 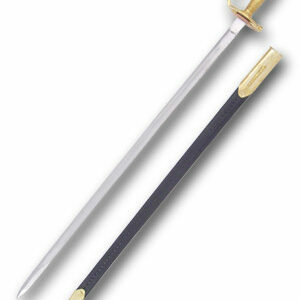 The blade is forged and differentially hardened in the traditional claying method with a prominent hamon. 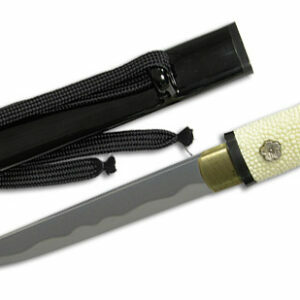 The Practical Plus katana features genuine Same (Rayskin) on the Tsuka, with a wrap (Tsuka-Ito) specially developed for its gripping qualities. 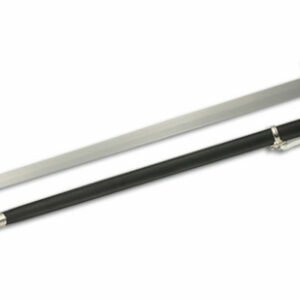 The long tang is double-pegged for security. 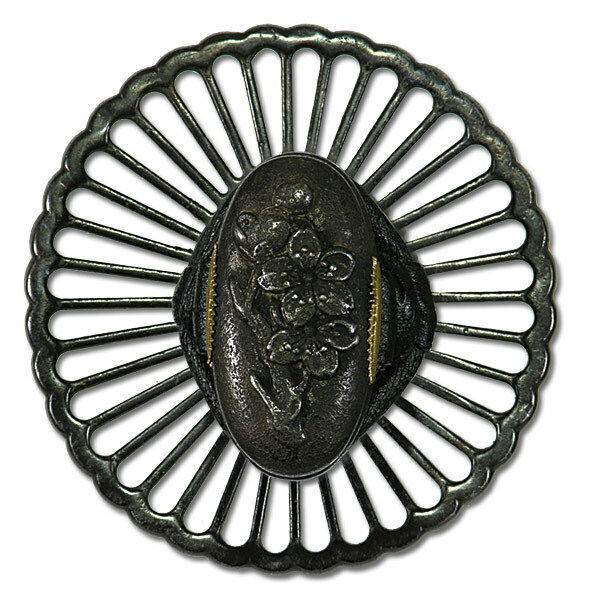 The fittings of the Practical Plus katana are decorated in a Japanese Dogwood motif with dragon menuki, and the handsome Tsuba is of an iron “sunburst” design with a brass habaki.